The A302 Microlite Tripod Base Microphone Boom Stand from QuikLok is constructed from QuikLok's Microlite tubular steel and features a swivel boom made from composite ABS material. The clamp on the boom swivel is ergonomically designed, allowing you to adjust boom length and angle simultaneously. 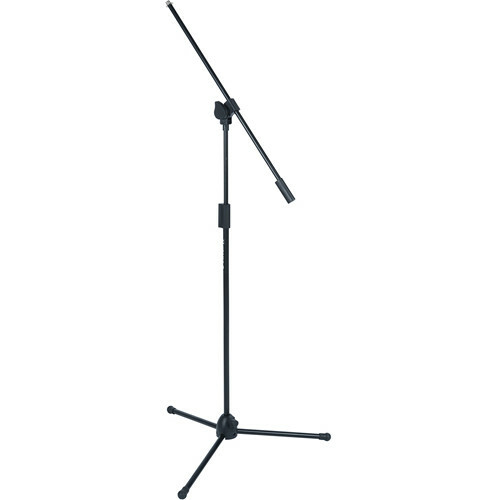 Box Dimensions (LxWxH) 37.45 x 3.75 x 3.75"
A302 Microlite Tripod Base Microphone Boom Stand is rated 4.0 out of 5 by 1.